In this article, we will examine the relevant charts from the DOS and USCIS for beneficiaries of approved immigrant visa petitions in March 2018. We will also go through news and notes included with the March 2018 visa bulletin. To learn more about the subject generally, please see our articles on how to use the Immigrant Visa Bulletin as an adjustment of status applicant and the differences between final action dates and dates for filing . 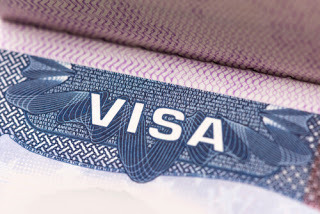 Please also see our index of Immigrant Visa Bulletin articles. The USCIS determined that individuals who are seeking adjustment of status based on an approved family-sponsored immigrant visa petition must use the dates for filing on the March 2018 Visa Bulletin. This decision is favorable to family-sponsored applicants because, in most cases, the filing date cutoffs are later than the final action date cutoffs. In order for the beneficiary of an approved family-sponsored petition to be eligible for adjustment of status in March 2018, his or her priority date must be earlier than the applicable filing date for his or her preference category and chargeability area. In family-sponsored cases, the priority date is generally the date on which the petition was properly filed with the USCIS. The following chart contains the filing dates for family-sponsored cases in March 2018. For reference, the following chart contains the final action dates for family-sponsored cases in March 2018. The USCIS determined that beneficiaries of approved employment-based immigrant visa petitions who are seeking adjustment of status must use the final action dates from the March 2018 Visa Bulletin. In order for the beneficiary of an approved employment-based immigrant visa petition to be eligible to file for adjustment of status in March 2018, his or her priority date must be prior to the applicable final action cutoff date for his or her preference category and chargeability area. In employment-based cases where labor certification is required, the priority date will generally be the date on which the labor certification application was approved by the U.S. Department of Labor. In employment-based cases where labor certification is not required, the priority date is generally the date on which the petition was properly filed with the USCIS. The following chart contains the final action dates for employment-based cases in March 2018. A final action date of “C” means that any individual with an approved immigrant visa petition in the applicable preference category and chargeability area will be able to apply for adjustment of status (if otherwise eligible for adjustment of status) in March 2018. Notably, the SR, IR, and R5 categories were allowed to lapse during the brief government shutdown in January. It is likely that Congress will reach an agreement on a broader spending bill prior to March 23, 2018. However, it is of course possible that the authorization for the programs in question may again be allowed to lapse for only a short period. In any event, we expect that these programs will either be reauthorized as part of a broader spending agreement prior to March 23, 2018, or shortly thereafter. Individuals who may be affected by the uncertainty should consult with an experienced immigration attorney for case-specific guidance. The DOS stated that “[c]ontinued heavy applicant demand is expected to result in the Vietnam Employment Fifth preference category reaching the per-country annual limit during March.” In the event that Vietnam reaches the limit, Vietnam Employment Fifth Preference will become subject to a distinct final action date for the remainder of fiscal year 2018. The DOS continues to expect to reach the annual limit of 50 Special Immigrant Visas in the SI category in early 2018. For this reason, DOS maintained a March final action date of April 22, 2012, for the SI category. The DOS expects the SI category final action date to become unavailable in coming months. The final action date for the SQ Special Immigrant Visa category for certain Iraqi and Afghan nationals employed by or on behalf of the U.S. government in Iraq or Afghanistan remains current. Those who intend to apply for adjustment of status based on an approved immigrant visa petition in one of the preference categories should stay abreast of developments with the Immigrant Visa Bulletin. It also provides those who intend to seek visas through consular processing of a general idea of when their interviews may be scheduled and when final action may be taken on their applications. Those seeking immigrant visas are well-advised to consult with an experienced immigration attorney throughout the entire process. Contact Amervisa for a free Consultation for all your immigration needs at 310 945 5998.